1. What Do I Need to Know Before Purchasing a Reverse Osmosis System? 2. What size of RO System do I need? Understanding RO Membrane GPD rating. 3. Where can I buy a quality Reverse Osmosis system or replacement filters and membranes? Before purchasing a reverse osmosis water filtration system, you may have questions that you want answered. Here, we address decisions such as air gap versus non-air gap RO faucets, how to connect a reverse osmosis system to a refrigerator, and what size system is the right fit for your home or application. 1What Do I Need to Know Before Purchasing a Reverse Osmosis System? Do I need to buy a faucet? RO systems require a separate faucet for the treated water to dispense. Did you know you can upgrade your RO faucet to match the color, finish and style of your existing kitchen sink fixtures? See options here. Do you want an air gap or non-air gap faucet? Non-air gap faucets do not have an “air gap” in the drain line to prevent drain water from being siphoned back into the system. However, non-air gap faucets are simpler to install, less noisy, and a check valve installed in the drain line can safely prevent backflow from the drain, which is why non-air gap is the most common type of faucet. Wondering how many stages of filtration an RO system should have? RO systems typically come in 3, 4, or 5 stages of filtration. At least 4 stages is typically recommended for most applications. If you're on well water or an area with high levels of sediment, you may want to consider a system that has extra pre-filtration (5 stages). Four to five-stage RO systems will provide adequate filtration for most applications. Does an RO System Waste Water? Similar to how we use water to wash our dishes, clothes or vehicles, RO technology uses water to clean the RO membranes as they process water. During the filtration process, RO systems typically use more water than the filtered water it produces. But because the system shuts down once the storage tank is full, water does not continue to run down the drain. Some systems are more water efficient than others. If this is a concern, check out the Nimbus WaterMaker WM5-50 High Efficiency System. What's our most popular RO system? The most common system purchased by customers is the PuROTwist 4-stage 50 GPD Non-Air Gap RO System (PT4000T50-SS) due to great value, made in the USA, simple installation, and quick release filters for easy filter changes. 2What size of RO System do I need? Understanding RO Membrane GPD rating? A Reverse Osmosis system will typically operate under water pressure ranging from 40 to 100 psi and will generate 10 to 75 gallons (45-340 Liters) per day for point-of-use systems. Generally, a system's actual production rate is 50% to 75% of the system's GPD rating. RO systems are rated on how much water they can produce per day (gallons per day or GPD). GPD ratings are based on tests performed under optimal water conditions (specific water temperatures and contaminant levels to achieve highest production rating). Note that cold water reduces production rate by as much as half. RO membranes become clogged with contaminants over time. Production will continue to decrease until filters and membrane are changed out. Certain contaminants and levels of those contaminants can cause the filters and RO membrane to exhaust more quickly. The price difference between lower production rate RO systems (24-36 GPD) and higher production rate RO systems (50-75 GPD) is typically minimal. For residential use, we recommend a 50 GPD-rated RO system. The higher GPD system does not cost much more than a lower-production rated system, and provides more than adequate production when water temperatures get cold during winter months, and as the membrane draws closer to the end of its' life (typically 24 months). 3Where can I buy a quality Reverse Osmosis system or replacement filters and membranes? We carry replacement filters and membranes for most major brands of Reverse Osmosis systems. We also have new Reverse Osmosis Systems available to purchase. ESP Water Products is committed to staying at the forefront of innovation in the water filtration industry.  We offer a wide variety of premium water filtration products from many of the leading brands in the industry. We're also proud to carry one of the largest online inventories of membranes, filters and replacement parts to keep your system in top shape.